HRC air scoop shown looking between the forks. 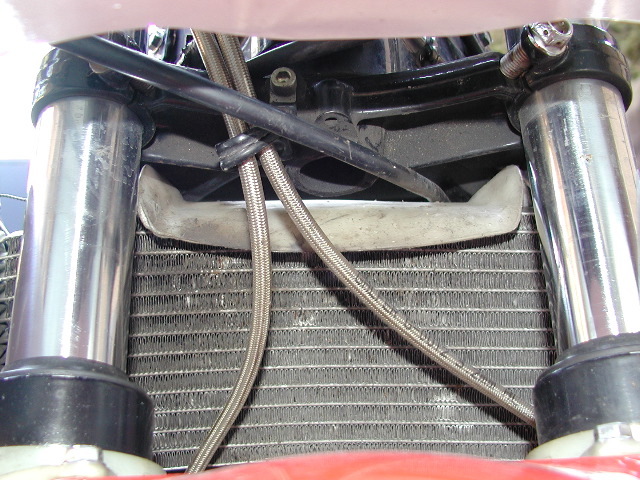 Both the HRC and the stock air scoops mount just over the top of the radiator, below the triple clamps. No picture of the stock air scoop is provided.